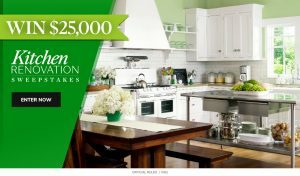 This Sweepstakes is open to residents of the fifty United States, the District of Columbia and U.S. territories and possessions, age 18 or older. Void where prohibited by law. All state and local restrictions apply. 1. To enter the Style Your Perfect Wedding Honeymoon Sweepstakes (“Sweepstakes”), review these Official Rules and fill out the entry form, including your first and last name, email address and a description of no more than 75 words of your wedding style. You may also opt-in to receive the DK newsletter. 2. Sweepstakes begins December 22, 2014. Entries may be sent via this website only and must be received no later than May 13, 2015, 11:59:59 PM, Eastern Time. Limit one entry per person. The sole determinant of time for the purposes of receipt of a valid entry will be the computer servers of DK, a division of Penguin Group (USA) LLC (“Sponsor”). Proof of transmission (screenshots or captures, etc.) does not constitute proof of receipt. 3. Entries are void if they are in whole or in part illegible or incomplete. Sponsor assumes no responsibility for late, lost, incomplete, illegible, or misdirected entries. 4. Sponsor and its parent, subsidiary or affiliated companies are not responsible for technical, hardware or software malfunctions of any kind, lost or unavailable network connections, or failed, incorrect, incomplete, inaccurate, garbled or delayed electronic communications caused by the sender, or by any of the equipment or programming associated with or utilized in this Sweepstakes which may limit the ability to play or participate, or by any human error which may occur in the processing of the entries in this Sweepstakes. If for any reason the Sweepstakes is not capable of being conducted as described in these rules, Sponsor shall have the right to cancel, terminate, modify or suspend the Sweepstakes. In the event of a dispute over the identity of an online entrant, entry will be deemed submitted by the authorized holder of the email account. 1. From all eligible entries received,one(1) Grand Prize winner and ten (10) runner-up winnerswill be chosen in a random drawing held on or about May 18, 2015 by Sponsor, whose decisions concerning all matters related to this Sweepstakes are final and binding. 2. Winners will be notified by email. Individuals who receive notification of winning must respond within fourteen (14) days, or will forfeit their prize. The odds of winning depend on the total number of eligible entries received. 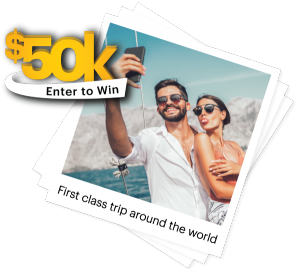 •	One (1) Grand Prize winner will receive $4,000.00 toward travel and accommodations for their honeymoon and a copy of Style Your Perfect Wedding by DK Publishing (Approximate Retail Value (“ARV”) = $4,040.00). •	Ten (10) runner-up winners will each receive a copy of Style Your Perfect Wedding (ARV = $40.00 each). 2. In the event that there is an insufficient number of eligible entries, Sponsor reserves the right not to award the prizes. 1. No substitutions, transfers or assignments of prizes allowed. In the event of unavailability, Sponsor may substitute a prize of equal or greater value. 2. All expenses, including taxes (if any), related to receipt and use of prizes are the sole responsibility of the winners. 3. Winners may be required to execute an Affidavit of Eligibility and Release (“Affidavit”) and if so, the Affidavit must be completed and returned within fourteen (14) days of notification or winners will forfeit their prize and another winner will be selected Should the ARV of the prize equal or exceed $600.00, winners shall be required to provide a Social Security Number or a Taxpayer Identification Number to Sponsor for issuance of a 1099 Form. 4. By accepting a prize, winners grant to Sponsor the right to their names, likenesses, hometowns, biographical information and descriptions of their wedding style in advertising and promotional materials, including posting on the Sponsor’s website, without further compensation or permission, except where prohibited by law. 5. LIMITATION OF LIABILITY. By entering this Sweepstakes and/or accepting a prize, entrants release Sponsor, its parent, subsidiary and affiliated companies, and the agencies of any of them and the authors and/or editors of any books promoted hereby from any and all liability for any loss, harm, injuries, damages, cost or expense arising out of or relating to participation in this Sweepstakes or the acceptance, use or misuse of the prize. UNDER NO CIRCUMSTANCES SHALL THE RELEASED PARTIES BE LIABLE FOR INDIRECT, INCIDENTAL, CONSEQUENTIAL, SPECIAL OR EXEMPLARY DAMAGES, ATTORNEYS’ FEES OR ANY OTHER DAMAGES. 6. Any dispute arising from this Sweepstakes will be determined according to the laws of the State of New York, without reference to its conflict of law principles, and by entering the entrants consent to the personal jurisdiction of the state and federal courts located in New York County and agree that such courts have exclusive jurisdiction over all such disputes. To receive a copy of the winners list, send a self-addressed, stamped envelope by November 18, 2015 to DK Marketing, 345 Hudson Street, New York, NY 10014, Attention: Style Your Perfect Wedding Honeymoon Sweepstakes Winners List.